How fitting that our second Triple Bill should focus on our favourite sequels. It’s almost like we plan this stuff (we really don’t). Sadly Gerry is still absent, and taking inspiration from one of our choices this week we considered casting a sound-a-like and cutting in excerpts of his previous appearances. In the end we’ll just explain his disappearance off-mic and hope the audience buy it. How very Hollywood. In our effort to trim the fat (not talking about Gerry now) this is our shortest podcast yet. You’ve even got time to pop out to buy some food and THEN listen to it on your lunchbreak. 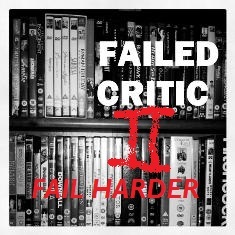 We’re back next week with the Failed Critics Review (The Bourne Legacy) and Triple Bill: Fight Scenes.